In the emotional aftermath of the September 11, 2001, attacks, people from all walks of life created and encountered memorials to those who were murdered. Vernacular art appeared almost everywhere—on walls, trees, playgrounds, vehicles, houses, tombstones, and even on bodies. This outpouring of grief and other acts of remembrance impelled photographer Jonathan Hyman to document and so preserve these largely impermanent, spontaneous expressions. His collection of 20,000 photographs, along with field notes and personal interviews, constitutes a unique archive of 9/11 public memory. 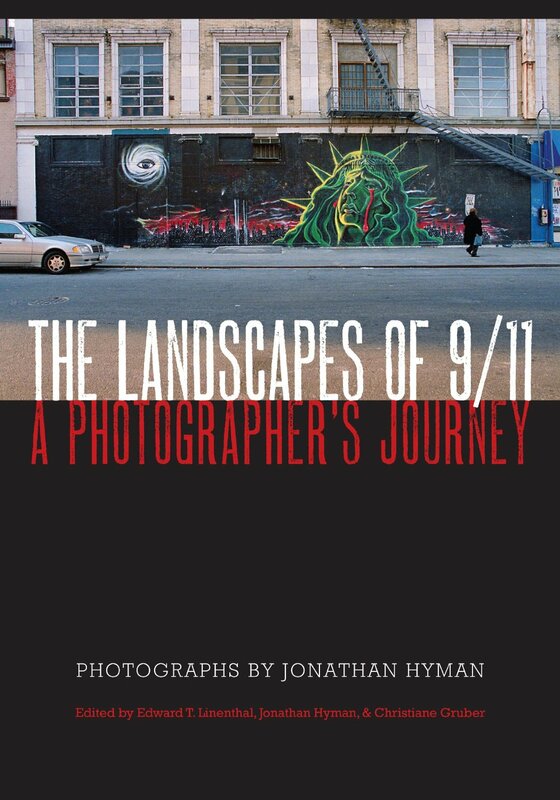 In The Landscapes of 9/11, Hyman offers readers a representative sampling of his photographs and also relates his own story in a clear and detailed narrative. He is joined by a diverse group of scholars and museum professionals, including editors Edward Linenthal and Christiane Gruber, who use the Hyman collection to investigate the cultural functions of memorial practices in the United States and beyond, including Northern Ireland, the Palestinian West Bank, and Iran. Full disclosure: John Lucaites and I co-authored one of the essays in the volume. The book is being released this month in cloth and paper; you can order copies here. Gil: Thanks for the link to the fine interview with Jonathan.